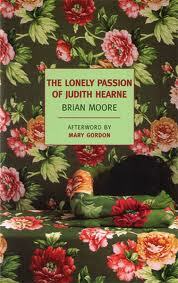 I recently finished Brian Moore’s 1955 novel The Lonely Passion of Judith Hearne, which was originally titled Judith Hearne. (Good call regarding the new title. I’m all about reading about the lonely passion of an individual rather than the individual). I’m happy to report that the book was (objectively) great! However, for me, the book’s greatness was mildly overshadowed by the multiple anxiety attacks I experienced while reading it. You see, it’s about an aging Irish spinster with delusions of grandeur who has to live in a boarding house because she’s run out of money and is also a secret alcoholic. So, basically everything I fear becoming. – You generally like Irish people who live in America because of their accents, etc. I had originally made two separate lists but then I decided that all of the items could work for or against reading the book. So read it! Or don’t! I’m sure you’ll be happy either way. I’d say that for me, it was probably worth all the anxiety because I really admired the prose and Moore’s ability to draw a complex cast of characters. So do I recommend this book? Yes! But only as long as you pick up the NYRB edition since the cover is a tragically twee masterpiece that makes for a great subway accessory.